Finaly it's done..my new homepage is online. Besides the complete redesign (Thanx to selectagrafics.de and JDietmann.de) you can find new features, pics & lots of music! The page will be updated with more news, pics & music regulary. I'm sorry that I dont update the english version so often...but I hope this will get better in the future! From the 19th of april I will be hosting a radioshow on www.kunninmindz.com! The show will be every wednesday from 10-12pm. I will mainly host the show on my own but sometimes I will also invite some guests for the show...so tune in! On friday the 5th of may I will start a monthly show called "Boogie nights Lounge". I will be playing 6 hours of chilled drum'n`bass. The party goes from 9pm till 3am for only 3€! 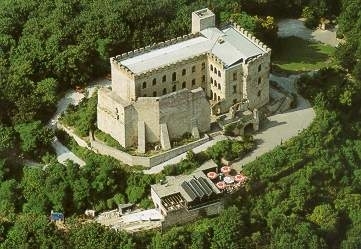 On the 13.05.06 "Kings of the castle" will take place in the Hambacher castle (Neustadt an der Weinstrasse). I will play an OldSkool-Set on the OpenAir Floorand before that I will play a reggae/dancehall set together with DeeBuzz soundsystem. You can find the complete lineup in the partydates section....don't miss that one!!! The gig with me & Miss Sabrination in Siegen (on the 22.04.06) was displaced to the 27.05.06 by the promoters. We're happy that the party will take place and we're bring Siegens partypeople to complete madness! The location is in the Karlstorbahnhof in Heidelberg & the lineup is pure heavyweight! Finaly the "On a ragga tip"-parties are back in Mannheim! The guests will be the OldSkool-legend Marvellous Cain (Suburban Base Rec) together with Dj Sonna & Mc Shockin B! Also the "Boogie Nights"-Crew (me & Dj Arsonist) longside Miss Sabrination will show you how we roll! The legendary E:motion-parties go into the next round! On the 29th of May I will be in Austria for the second time. I am playing in a location called Stadtwerkstadt in Linz. There will be a raggajungle-floor & a dancehall-floor....so thats the right vibe for rump shakin! On the 31.03.03 I will be playing in Bremen for the second time. The rave will take place in the "Magazinkeller/Schlachthof" and also a lot of other dj's from the nothern part of germany will be spinning their records.